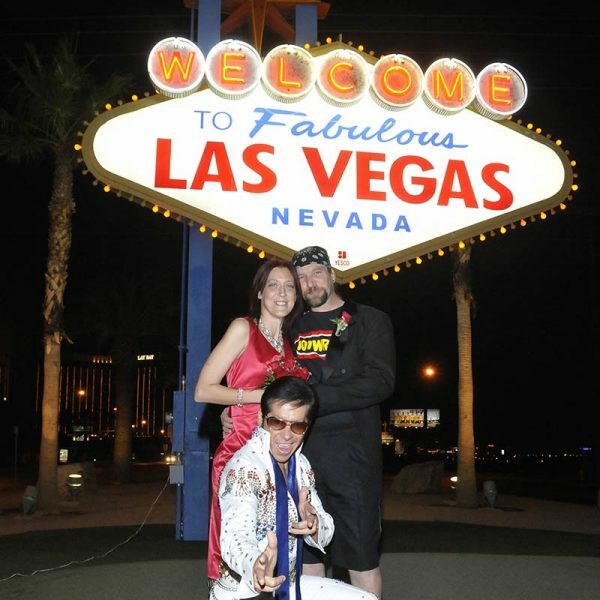 If you want the world to know you were married by Elvis in Vegas, there’s no flashier way to do it than to have your wedding ceremony in front of the world-famous “Welcome to Fabulous Las Vegas” sign! 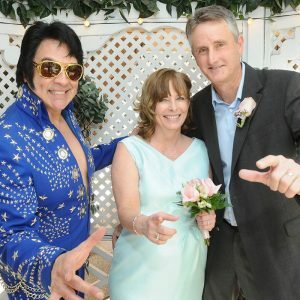 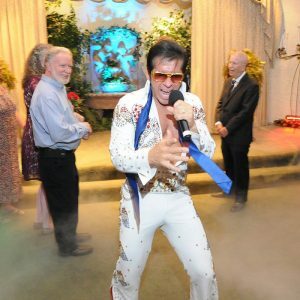 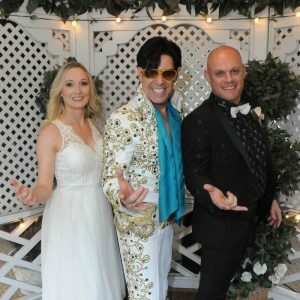 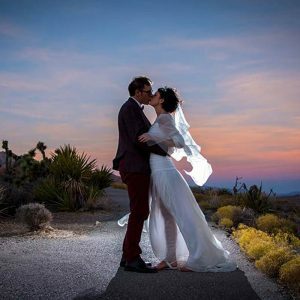 You’ll have all the frills of an all-inclusive Elvis wedding package, plus photos and video as documentation of this, the ultimate Vegas wedding experience! 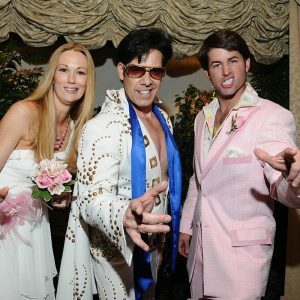 This Las Vegas wedding package includes: Elvis Singing two songs and performing the ceremony outdoors in front of the “Welcome to Fabulous Las Vegas” Sign, Witness, 6 Rose Bouquet for the Bride, Boutonniere for the Groom, professional photographer to take photos during and after the ceremony, DVD of the Ceremony, Free Wedding Website and Wedding Invitation, Limousine Service to and from your hotel, plus Minister. 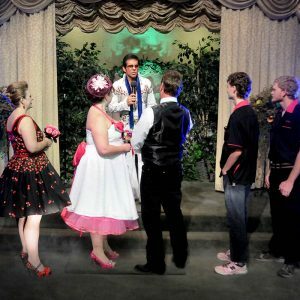 If no minister is needed (if you are renewing your vows or having a commitment ceremony), package price is $100 less.